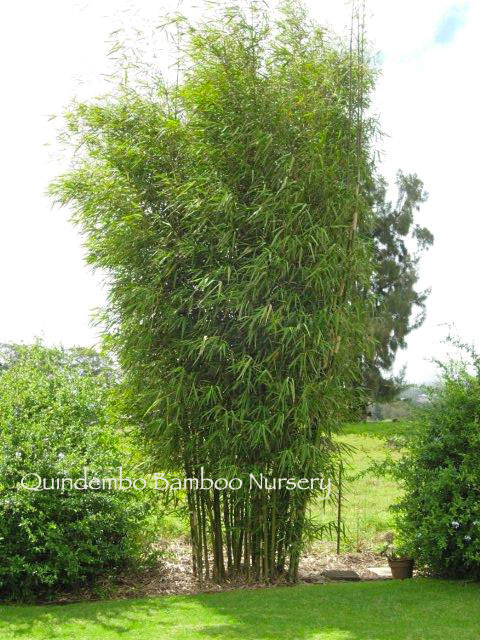 Graceful and gorgeous, this lovely bamboo has large, dark green leaves (with some beautiful white striping on the new growth) and pink and white striated, very straight and vertical canes. The new shoots are gorgeous. It grows to about 25 feet tall and makes and excellent privacy screen, suitable for residential lots. 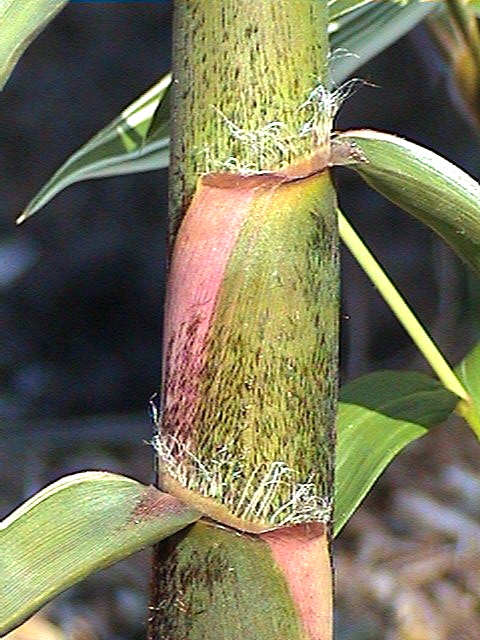 The young shoots are edible and the lumber is good enough for garden and non-structural projects.